Infused with the vibrant fragrance of Blu Mediterraneo Fico di Amalfi, this crystal clear formula creates a rich lather that contains natural cleansing agents enriched with Sweet Almond Oil to rejuvenate the surface of the skin and Vitamin E to prevent loss of moisture. Leaves skin refreshed and moisturized. Exclusively handcrafted in Italy. 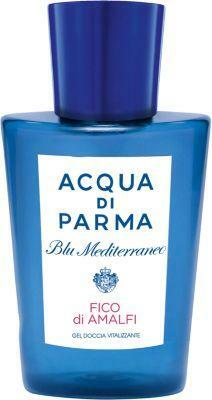 6.7 oz/200ml Acqua di Parma Women's Blu Med Fico Shower Gel 200mL A great designer gift. Shop Acqua di Parma at Barneys New York.